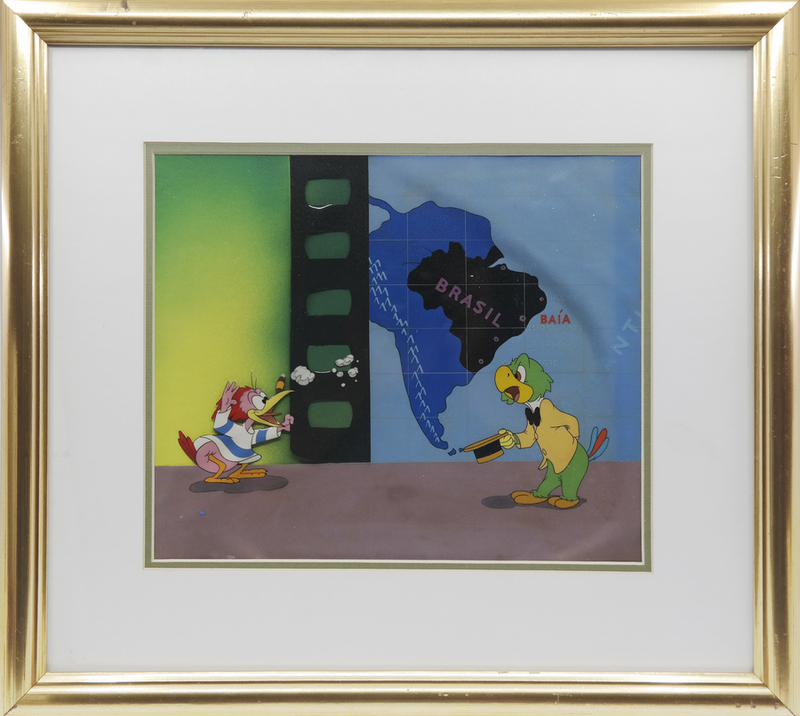 This is an original hand-painted cel from the Walt Disney Studios production and marketing of The Three Caballeros (1944). 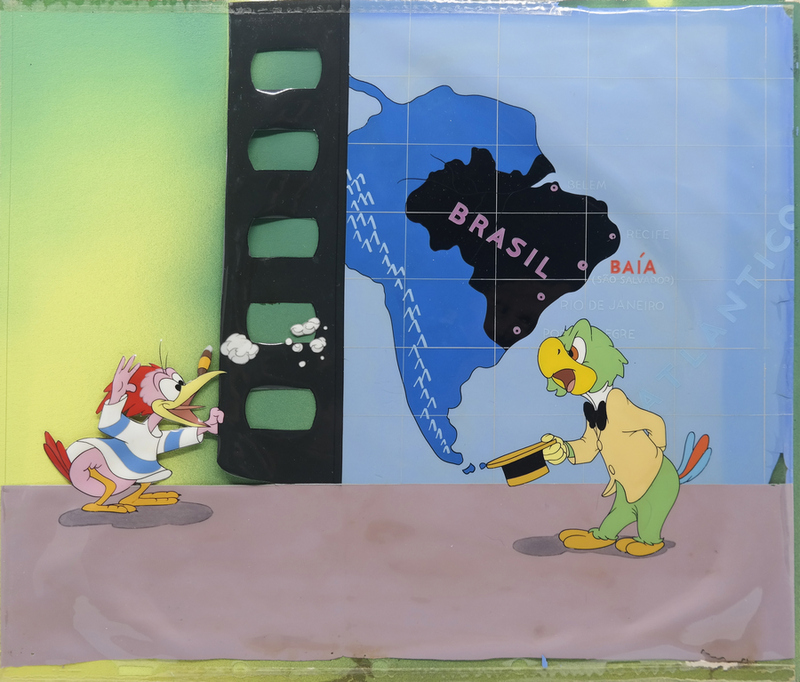 This hand-painted cel features a wonderful image of Jose introducing Brazil as the Aracuan Bird pulls the film into the frame. 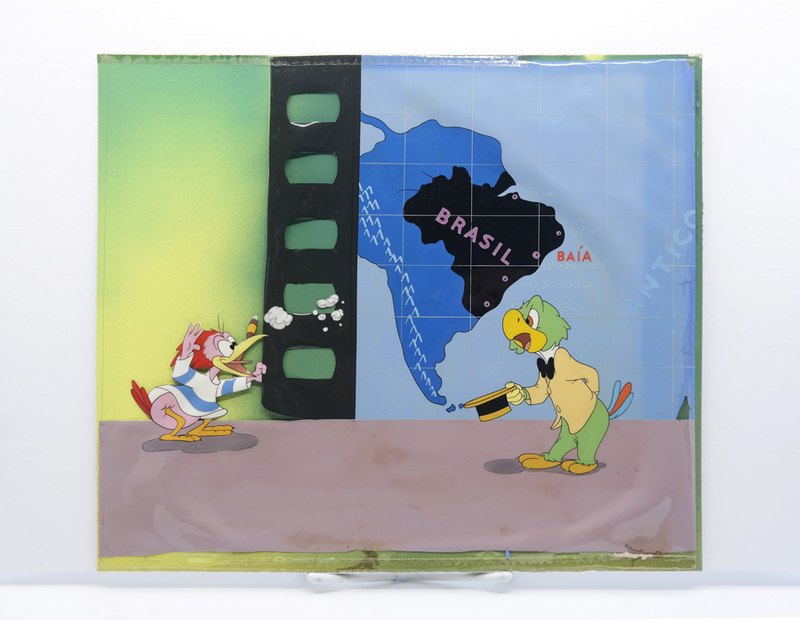 This cel was created at the studio and used during either during production as a reference model for the ink and paint department, or after the film was complete as a publicity image used to promote the film's release. The overall measurements of the piece are 15.5" x 17.5" framed with the mat opening measuring 8.75" x 10.75" and the image itself measures 9" x 11". 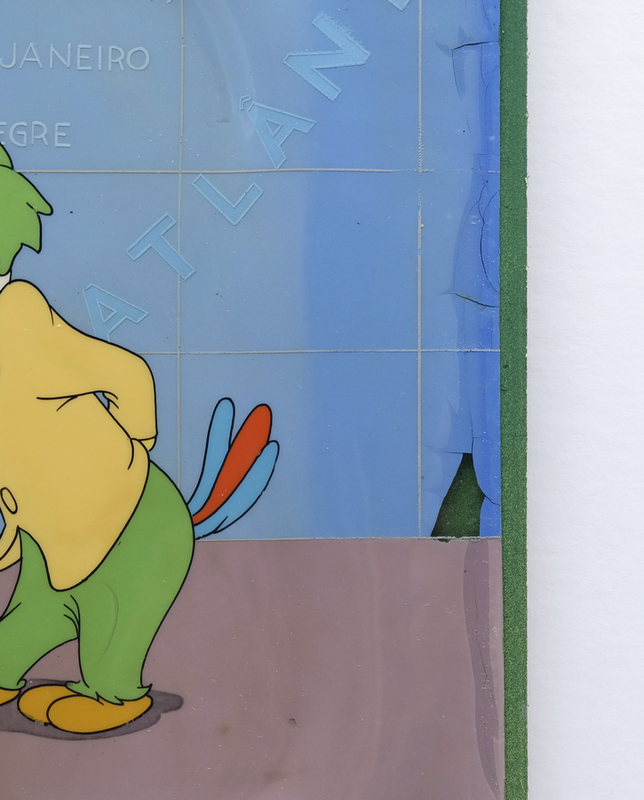 The cel is applied to an air-brushed background, as it was prepared by the studio for Courvoisier Galleries. 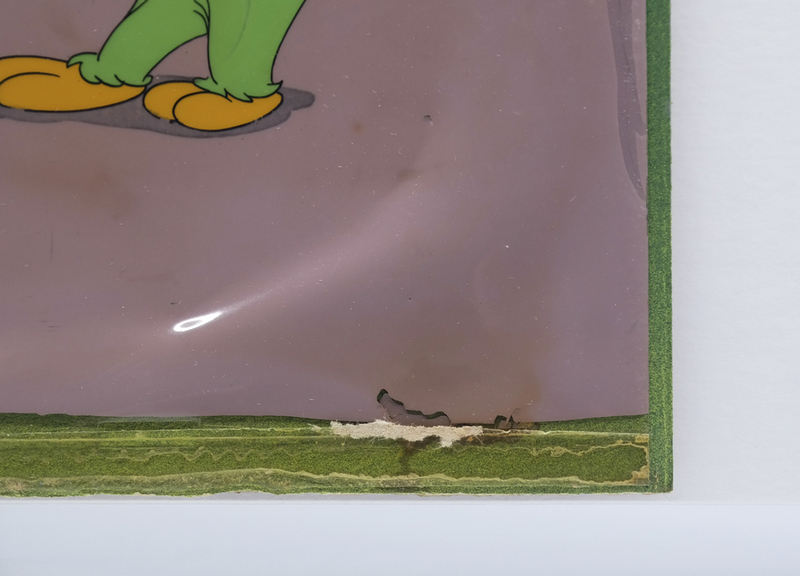 The setup is in good condition with some paint lifting and damage to the edges of the painted image on the slightly trimmed cel.